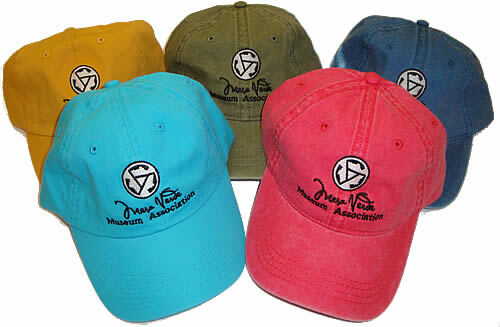 100% cotton baseball cap featuring the Mesa Verde Museum Association logo. Adjustable back strap. Available only in stonewashed Green, Blue, and Red. Yellow and turquoise are no longer available.